Cor and Margaret Sanne of CMS Productions report that Nothin' Fancy (USA), Pinecastle recording artists and two-time winners of the SPBGMA award for Entertaining Group of the Year, are available for bookings in Europe, exclusively through CMS Productions, for the period 20-25 July 2010. Rienk Janssen reports that Ed Fryday of the Bay Area Bluegrass Association in Texas (Bay as in 'Bay of Mexico') is looking for bluegrass bands to perform in the Association's monthly concert/festival series (every third weekend of the month, except December). The BABA are interested in booking bands from outside the USA. There are possibilities for one or more additional gigs on the days before and after. Contact Ed Fryday by telephone (+1 281 636 9419) or e-mail. 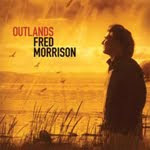 Thanks to Archie MacLullich for news of the new CD Outlands by innovative Scottish piper Fred Morrison, which explores the links between bluegrass and Celtic music. The ten tracks are mostly original compositions; the artists taking part include Ron Block (banjo, guitar) and Tim O'Brien (mandolin); and the album is produced by Gary Paczosa (Dolly Parton, Dixie Chicks, Nickel Creek). More details and audio samples are available on the Fred Morrison website and MySpace site. Archie also draws attention to an interesting interview with Fred by reporter Sue Wilson for the Hi-Arts [Highlands & Islands Arts] website, which includes his affinities with Irish uillean pipers such as Paddy Keenan and Finbarr Furey, as well as with bluegrass - for which he first acquired a taste in Amsterdam. The footage of Fred Morrison on YouTube includes one video of him playing 'Kansas City hornpipe/Jarlath's tune' with Bruce Molsky on 5-string banjo. Thanks to Rienk Janssen for the news that Sue Thompson (USA) - vocalist, guitarist, vocal arranger, and teacher - will be in Europe for six months, starting in March 2010, and is available to give guitar instruction and workshops in harmony singing. Sue created the instructional course How to sing harmony the natural way, together with Keith Little and Don Share. She can be contacted by e-mail. Thanks to Richard F Thompson of the BBMA for drawing the attention of festival organisers to the deadline (12.00 a.m., 7 Nov. 2009) for entering details of their events in the January 2010 issue of Bluegrass Unlimited magazine. To qualify for an entry, your event must have at least five bands/acts and not less than five hours of music per day, and must feature bluegrass, old-time, or acoustic music. Ashby Frank (on left in above photo), mandolinist and singer with the Special Consensus (USA), who are nearing the end of a ten-day, six-country tour in Europe, has been keeping a diary of the band's experiences during the tour. You can read episode #3, in which the band travels from the Netherlands to Switzerland, on the original Bluegrass Blog, where there are links to earlier instalments - or you can read the whole journal on Ashby's own website. Recent additions to Tom Nechville's Picasa web album of 'Famous Revolutionaries with Nechvilles' include these photos: above, Lluís Gómez (E), Leon Hunt (GB), and Tim Carter (USA), taken backstage at the Longford Arms Hotel, main concert venue of the 2009 Johnny Keenan Banjo Festival in Longford, Ireland; and right, Tom Hanway (USA, but now resident for several years in Longford). For developments on Tom's new MySpace site, see the Bluegrass Ireland Blog. We are a charting station based out of Florida, not to mention the largest college radio station in the US, but want to reach more people. Our recent trip to IBMA this year opened our eyes as to how many talented European artists there are and we had no interaction with them... They make a strong effort and have an unbelievable passion and appreciation for bluegrass music... This is an opportunity for us to help share some of the great music coming out of Europe and give them a chance to hear more bluegrass from the US to start their day off right. After all, they are all part of our bluegrass family. This is going to be a great venture and we would like you to come and 'Experience Bluegrass With Us' on the World Wide Bluegrass network. We have access to many domestic entertainers and events, but are collecting information on events and material from European artists, promoters, and agents to help expose them to the US market. We will be airing in a few weeks so don't wait, please respond ASAP. Ernie and Debi Evans are also members of IBMA and IBMM, and co-promoters of the Florida State Bluegrass Festival. Congratulations to Jana Dolakova Mougin (from Slovak based band Fragment) and Stephen Mougin on the birth of their new son on 12th October 2009. According to Stephen 's report on facebook at 20.40 pm on that day, all are happy and healthy. Uncle Ned Luberecki, who has just returned from home from teaching at the Munich Banjo Camp, is already teaching him the backwards and forward roll. Roberto's YouTube channel has undergone recent changes, and he thanks Vlado for putting up some great videos from the Acoustic Guitar Workshop. You can also join Roberto on Facebook. Roberto thanks everyone whose vote has helped his music win recognition this year. Among over 42,000 albums and over 560,000 songs submitted from 160 countries for the Instrumental Album category of the 2009 Just Plain Folks Music Awards, Roberto's CD Grateful won second place. His tune 'Sunflowers', from his new CD Unknown legends, won the Channel Prize for Instrumental Solo in June 2009, receiving the highest rank in OurStage's Instrumental Solo Channel. Both CDs can be bought or downloaded on line; the options are shown on Roberto's website, which also has a new digital store, where sheet music and tabs are available for purchase and download in PDF format at $3.95 for each title, and can also be bought in packages at a discount. Each purchaser will receive an e-mail with a link to the download. You can preview each tab and hear a sound clip before buying. Roberto will be adding more transcriptions each month; e-mail him if there is a song that you'd like to see made available as sheet music. On 4 November Canadian roots-music band Headwater will begin a European tour, which at present consists of a dozen dates in England and Scotland, six in northern Italy, and one in Austria. More details are on their website and MySpace site. Headwater consists of Jonas Shandel (lead vocals, guitar, banjo), Matt Bryant (lead vocals, guitar, mandolin), Pat Metzger (upright bass, vocals), and Tim Tweedale (steel guitars). Their latest album, Lay you down, has received many favourable reviews. The powerhouse duo of Amy Gallatin and renowned resophonic guitarist Roger Williams joined forces a few years ago to explore their mutual love of country standards, served up with an acoustic treatment in the bluegrass vein. The result is a toe-tapping blend of heartfelt vocals, soaring harmonies and red-hot picking, traditional yet modern and distinct. The two are enhanced by the recent addition of Roger's son J.D., who - in the time-honored tradition of musical consanguinity - complements his father's style perfectly, and by veteran bassist Eric Levinson, formerly with Joe Val and the New England Bluegrass Boys and later with Boston City Limits. Promoters and event organisers should contact Amy Gallatin through her website, by 'phone (+1 860 633-2574), or by e-mail. I will have a meeting with the cultural attache very soon. If you know of any US bands touring in Europe in 2010, please provide me with details. I will forward the information to the embassy. Oliver Waitze of the New Acoustic Gallery in Solingen, Germany, reports on the forthcoming Mandolin Weekend Workshop (30 October-1 November 2009) given by Jesper Rübner-Petersen. The course, which is open to all levels, begins on Friday 30 October (18:00-22:00) and continues through Saturday (10:00-17:00) and Sunday (10:30-15:00). Themes covered during the workshop will include bluegrass, old-time, Irish, blues, and swing tunes; the sound of David Grisman (tunes, solos, and tricks); and improvisation, including gipsy jazz. The cost of entry is €150 (concessions €120). This includes a Saturday evening concert (20:00) by the Trio Vibracao - Oliver Waitze (acoustic guitars), Jesper Rübner-Petersen (mandolin), and Max Schaaf (bass). The concert is also open to up to 75 people: admission €18 VV; €22 AK; Erm. €14. The Trio can be seen and heard on YouTube playing David Grisman's 'Tipsy gypsy medley'. Algirdas Klova reports on bluegrass.lt, the website for bluegrass in Lithuania, that the public organisation Muzikonas and the Country Saloon club, together with Vilnius City Hall and European bluegrass association EWOBA, are organising the fifth Vilnius bluegrass music festival. Two concerts will take place in Vilnius on 21 and 22 November 2009 at 19:00. for the public and open workshops for Lithuanian musicians. Jam sessions will be held after both concerts at the BoBo bar. The artists taking part include Peter Rowan (USA), the New Essex Bluegrass Band (UK), the Lonstar Trio (Poland), and Country Saloon (Russia). Algirdas Klova is art director of the festival, and the project initiator and manager is Jūratė Klovienė (Jūnė). Join us at the EWOB Festival 2010 in Voorthuizen, the Netherlands. It's time to apply for your band's EWOB 2010 showcase! Applications are online RIGHT NOW here. Don't miss your chance to be part of this unique event. The European World of Bluegrass Festival is one of the world's coolest festivals! * Winners are chosen BY THE MUSICIANS! Link to view more details!!! EWOB will send the Downtown Ramblers to Nashville to IBMA's World of Bluegrass in 2010. Rienk Janssen, one of the EWOB Festival's founders, retired from EWOB in July. The EWOB Steering Committee thanks him for his years of service to the EWOB Festival. The Steering Committee has been restructured to include 7 people, rather than 5, and the many tasks involved in planning and organizing the annual festival have been redelegated. The new info is on the Contact page of the EWOB Festival website, so you can find the right person to contact on various issues. For more details and news, read the full text of the EWOB Steering Committee's release here. Many thanks to Jacques Brémond, editor of Le Cri du Coyote, the French magazine on American Music, for kindly passing on the detailed article by Dominique Fosse (who also wrote the booklet "18 ans de Bluegrass"), including many pictures and detailed description of Dominiques personal impression of each band, published in the latest issue of the magazine.